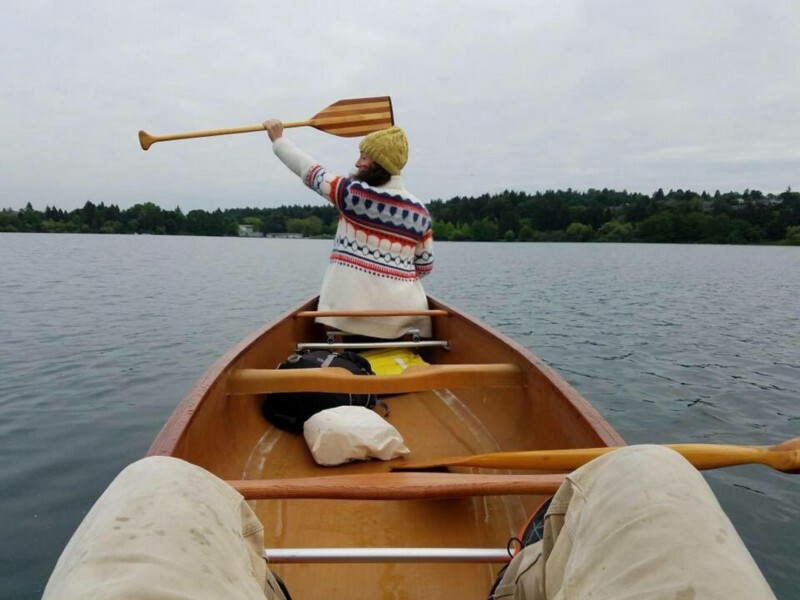 I recently took a canoe trip with my husband and our not quite four-month old. As we drove north for two days we were downright giddy, and not just because our baby was sleeping “like a baby” (surely whoever coined this phrase never had children of their own). In the parking lot, we were all smiles as we packed up the canoe and our baby continued being dreamy. Even on the 1.5 mile portage, while my husband sweated “like a hostage” (his words) heaving our massively over packed, first-time-parents-taking-a-baby-into-the-back-country-anthing-could-go-wrong-canoe — our spirits road high. We’d done practice runs at the lake close to our house. My husband was a mountain guide for over a decade. I trained as a midwife, worked as a life guard, and currently teach yoga classes on open water. We knew this was edgy, but we felt prepared. We built a seat for her by deconstructing and reconstructing a bouncy chair right into the canoe — and topped it off with a running stroller canopy drilled into the gunwale. She was wearing a floatation device that we ordered from a store in Canada that specializes in backcounty mountain gear for babies. Of course, we were taking off a little later than we wanted. Of course, dusk threatened to have us setting up camp in the dark. And then the wind started to pick up. Our giddy baby started fussing. As we pushed off the dock, and my paddle entered the water — I suddenly realized that my whole world was in that boat. My whole world, plus about 20 days more stuff than we needed. And what if we tipped? I kept running through rescue scenarios in my head, and reviewing them with my husband. My chest tightened and my eyes could only measure the distance to shore. I stopped, and I held my paddle, and I looked around. The fir trees nearly touched the sky. The mountains folded over, and over, and over again as far as we could see. Dusk was showing off its pink and purple secrets, while the sun played a tiny game of peekaboo on the ripples of the lake. Avoiding danger is no safer in the long run than out-right exposure. To keep our faces towards change and behave like free spirits in the presence of fate is strength undefeatable. I don’t think this quote is factual. I’m certain the statistics on basejumping would not agree. I can’t even confirm if Heller Keller actually said this, but what I’ve learned the hard way is that we can choose to cower to our fear and let it rule us — or we can turn our face right into it, and let it free us. Freedom lives on the other side of our fear — every damn time. Luckily, we have lots of moments to practice. When our view gets small, when we feel our spine go stiff. Then we know fear has us, and we have our moment. We can habitually burry ourselves deeper and deeper in our story of why we can’t, or why we have to, or why it’s his or her fault. Or we can gather our courage, and bravely go into it. We can accept that there is no cure, there is only a path through. And then, we are free to do life, as only you can do. Meghann McNiff has worked in international health and development for nearly a decade in Malawi, Kenya, and Afghanistan. She is a graduate of the Air Force Academy and holds a Masters of Arts in Critical and Creative Thinking from the University of Massachusetts in Boston, and a Masters of Public Health in International, Maternal and Child Health from Boston University. 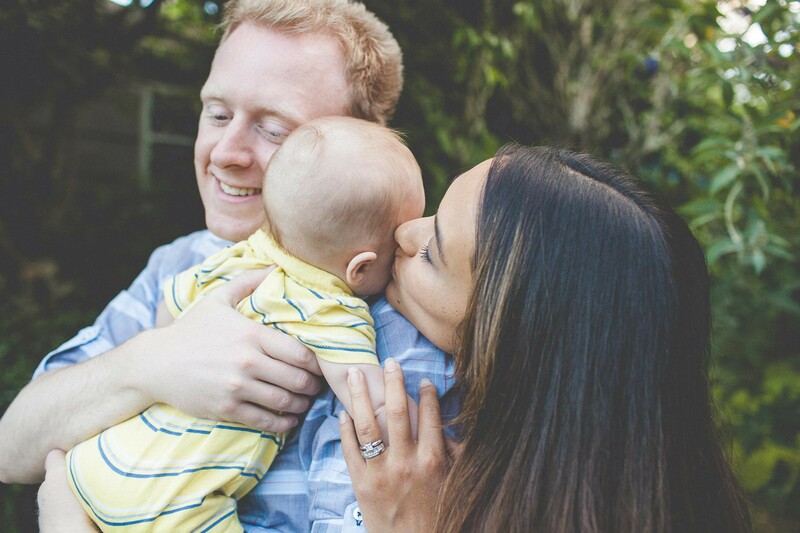 She currently lives in Seattle with her husband, her daughter and two cats, and is spending her days writing, teaching yoga, and working on her latest project — being a new mom.